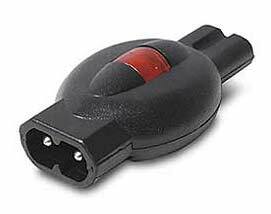 Tiny ElectraShields are small modules that plug in between a laptop’s power brick and power cord. It will protect your laptop computer and other sensitive electronics that use C6 and C8 power cords from the damaging effects of power surges and spikes. An indicator light lets you know it’s protecting your computer. Following a destructive surge that would have likely damaged your valuable electronics, the indicator light will go out indicating that a surge has occurred and to replace the ElectraShield. There are 2 and 3 prong versions. Freecom's latest release, the poorly named Hard Drive Secure comes with AES-encrypted RFID keycards that require some swiping to be done before one is able to access the treasure trove of data within. Once you're done doing all you need to do with the hard drive, swipe the card one more time in order to lock the device away from prying and curious eyes. 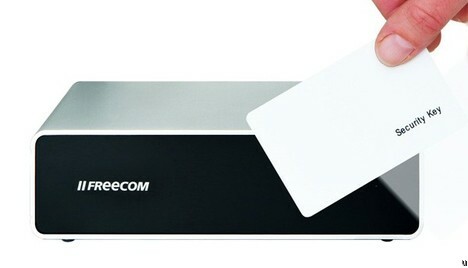 Chances are Freecom's latest device won't be left cruelly exposed to the Mifare hack that exposed vulnerabilities in previous RFID systems. There is no word on a release date, although we know that this aluminum-enclosed hard drive will come in 500GB and 2TB flavors, retailing for $119 and $409, respectively. IF you currently own a Chinese mobile phone then it’s time to throw it away unless you don’t get a new IMEI number from the government by paying a minimal cost of Rs.199, this also includes tax. If you don’t do that, according to the new rules laid down by the Indian government your phone will stop working with all the service provides. This new program is called GII which stands for Genuine IMEI implementation program. However if you are already thinking of getting rid of your chineese phone then you may skip this program because either way you are not going to use the phone. To get to know more about the authorized centers you can call in your customer care. IMEI number is unique for each and every phone and it’s necessary to identify the make and the model of the phone. Just like you have a different mac address and different driving license number, the same way every phone has a unique IMEI number. To check the IMEI number you can press *#06#. If you want to verify the integrity of the phone, you can verify the IMEI number by sending a message “IMEI <15 digit IMEI No.> to 53232. The government and the IMEI number issuing authorities have assigned many shops that are licensed to provide you a new IMEI number. Check with the customer care to know more about these shops. 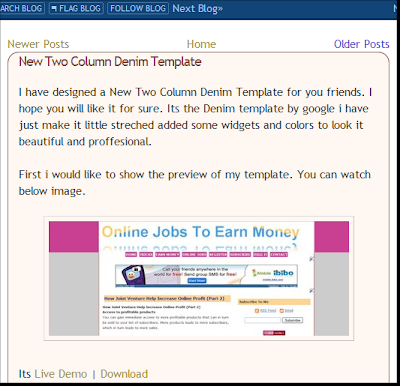 Now let's carry on with our tutorial on how to make navigational links to show at top instead of bottom. Now you will have navigation links at top of all posts instead of having it at the bottom of all posts like picture shown above. Asus has come up with a significant first, the P6X58 Premium motherboard will be the first on the market to pack USB 3.0 ports, a pair of them in fact. With six DDR3 slots and three PCI-E slots the Core i7 board is clearly targeting the well monied elite gamer niche (read middle-aged nerds who still live with their parents). World too far away? Want to see stuff but can’t move closer? If you’ve answered Yes to either of these questions then you need the Avatar Digital Binocular Sports Camera. It’s got a 2 megapixel camera with a 21× optical zoom and 2.5″ display. There’s 1 Gb of internal storage, a microSD slot, TV out, a voice memo for dictating your shopping lists and you can record stills or video. When the bird watching get slow, there’s a built-in media player so you can review your footage, or crank some tunes. There’s also an e-book viewer (but .txt files only), calendar, games, a mini tripod and earbuds. Now where have I seen that UI before? AU$158. LG’s GD910 has got some competition. Samsung has introduced its watchphone dubbed as S9110 and is the world’s thinnest measuring a thickness of just 11.98mm. S9110 will be released in France for about 450 Euros ($639). 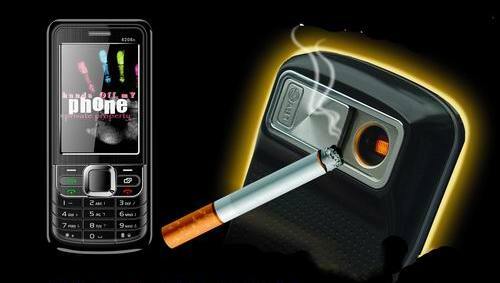 The watchphone supports 900/1800MHz, 40MB internal memory and 630mAh battery. 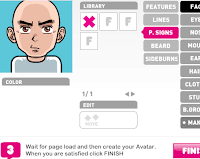 There is a new cool kid on the block for creating custom avatars: FaceYourManga. While Yahoo and other services have had their avatar creators for some time, they have been largely boring and lacked variety. FaceYourManga tries to change this by providing a host of customization features that may very well make your avatar unique (or something close to that). FaceYourManga creates avatars through a multiple-step avatar building process, configuring every imaginable part of your face. After creating your avatar, you need to enter an email address to which the avatar will be mailed. Improve page load times: It felt a bit slow at times. Every time you click on a customization, it takes time to redraw the avatar, which I think is unintuitive. Entering email ID: While there is no registration required, entering an email ID certainly makes one suspicious of their intent. I used an old, unused email ID for this purpose (to prevent any spam from affecting my regular usage). 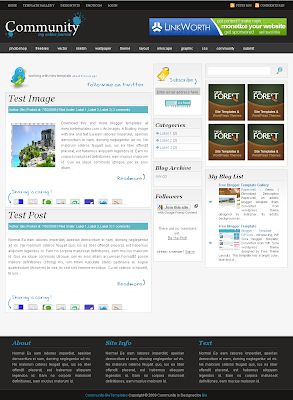 Excess usage of flash: The header and navigation links are powered by flash. Images could have been used instead. If you are looking to create GIF Animations online easily and for free, check out Loogix. It's a nifty web service that lets you create GIF Animations online without downloading anything. It provides you with a very simple interface. Upload your photo, select size and speed of the animation and click 'generate animation'. Notice, You can upload up to 10 pictures at one time. You may also add some great animation effects to your pictures which include Blur, Guggle, Motley, Explosion, Recursion, Black-White etc. Create GIF Animations online (For Free) with Loogix. Take a look at this - ain't it cool, with the Black & White Clock? 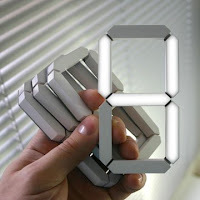 It comprises of a quartet of independent 3D OLED digits, where each digit will boast its own power source and control. 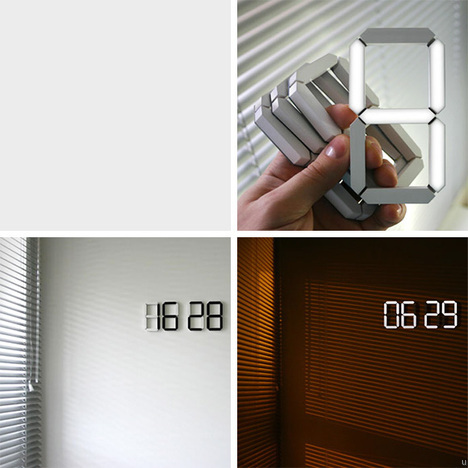 The clock comes equipped with a light sensor as well, capable of switching automatically between two modes. During the day, the figures will be shown in black, while when dusk falls and night takes over, you tell the time via white figures. Neat! Air horns are able to make an amazingly loud sound from such a small little canister thanks to the magic of air pressure. There’s probably nothing more annoying than an air horn blasting in your vicinity but clearly these devices do have their legitimate uses beyond just dicking around. If you’re a boater, you know how indispensable an air horn can be to alert other boats of your presence and to signal for help. Sports fans love to use these to get their team’s fans pumped up and cheering. Most air horns are not eco-friendly; they have an aerosol can that you use until it runs out and then throw it away. 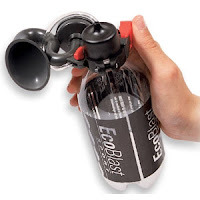 The Ecoblaster Rechargeable Air Horn is eco-friendly- it’s the last air horn you will ever have to buy because it’s refillable. 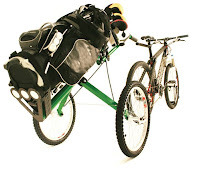 Just hook it up to the included pump or any bicycle pump, car tire pump, or compressor and fill it up with more air and you can use it over and over again. Each recharge gives you 70 horn blasts. The volume is adjustable up to 115 dB this air horn meets Coast Guard regulations. A master at combining aesthetics and mechanics, artist Jonathan Schipper recently joined forces with fellow artist Amelia Biewald to create a stunning metal iPhone case that they've dubbed Exovault. 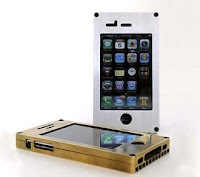 Made from solid aluminum, brass or titanium, the handcrafted cases lend a steampunk look to the device—a big step up from the plastic varieties that house most iPhones today. Over time, the lustrous surface will develop a uniquely exquisite patina, making the durable casing that much more appealing. Accustomed to working with a variety of materials, the duo has collaborated on projects before, resulting in compelling installations such as "Firebird," a raven-filled tree comprised of parts from a 1969 Pontiac Firebird. Designed in Brooklyn, New York, you can purchase the cases from the Exovault website. The aluminum and brass versions run $95, while the titanium version will set you back $300. To inquire about custom versions email exovault [at] gmail [dot] com. IronKey on Monday announced the upcoming release of its S200 USB drive, which is being touted by the company as the most secure device of its kind. The S200 is the only USB key to meet FIPS 140-2, Level 3 validation for cryptographic modules mandated by government agencies. Otherwise, the S200 sports the same tamper-resistant body, self-destruction circuitry and hardware-based AES-256 encryption as other IronKey drives. The 16GB key can be set to restrict networks, making its content inaccessible on uncontrolled computers. There is a read-only mode that prevents malware on infected host devices to make its way into the IronKey. Optional anti-virus and anti-malware scanning will check devices in the background for malicious software. The S200 also has enterprise-class management capabilities that include remote policy enforcement, remote data destruct, secure device recovery and self-service password recovery. The S200 is compatible with Windows XP, 2000 and Vista as well as Mac OS X and Linux operating systems. No pricing information or release dates have been released for the IronKey S200. Feeling like a game of golf? But not keen on the 'chasing a ball around a field in the drizzle' bit? Well we've saved you the trouble of having to find a field, and a hole, and a set of clubs, and a sweater, and an afternoon off work, with THIS! The most leisurely of all mugs! 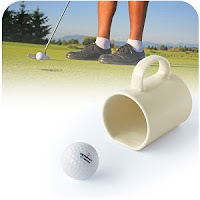 Once you've finished your tea you can tee off in the office, the living room, or anywhere the mood takes you. The mug features a flat side so it forms the perfect practice hole on your floor, just don't forget to take the ball out before your next coffee break! Club and ball not included. Every kitchen has its own rhythm and hum, and now you can play along. 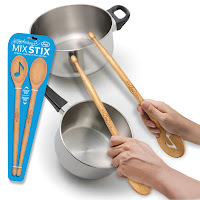 Mix Stix are classic indispensable beechwood spoons, morphed into drumsticks. So you can rock out when you’re not stirring, paradiddle on the stockpot, give that mixing bowl a rimshot. Get with the beat! We’ve packed one solid spoon and one unique slotted spoon on a durable chipboard peggable backing card. Bing is becoming the new Google. Who would have guessed that the yet-another-search-engine-attempt-from-microsoft-to-beat-google would really turn successful? Well, it surely seems that Microsoft has finally worked its magic this time as Bing has become the 13th most visited site on the web. According to Compete, Bing’s traffic has overtaken that of other prominent sites like Digg, Twitter and CNN. Now, for those people who would like to switch to Bing, but finds Google to be unavoidable, we present you two new web services that allows you to search both Google and Bing together in a shot. AskBoth.com is a new Web 2.0 search engine that combines the results from Google and Bing and displays them side by side. Note that entire Bing page or Google page is not displayed, but just the results are displayed here. 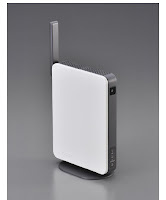 NTT DoCoMo announced today the development of a highly compact indoor base transceiver station, or femtocell BTS, that supports extra-fast data communication and highly practical services under DoCoM's Home Area concept of linking mobile phones to the DoCoM network via broadband connection in the home. The new DoCoMo femtocell BTS supports plug & play convenience for smooth, automatic configuration after connection to the DoCoMo network via a broadband fixed line, such as optical fiber.The significantly improved data-communication capability of the new femtocell BTS will enable faster, easier downloads of large content, such as video, high-resolution pictures and high-quality music files, as well as highly stable streaming for the uninterrupted enjoyment of audio-visual content on DoCoMo mobile phones. The new model also will enable new services, such as mail notification to a parent when a child arrives home and their DoCoMo phone is detected to have entered the Home Area of the femtocell BTS. Another possible service is special limited-time electronic coupons sent from a store to nearby customers who choose to be detected when their DoCoMo mobile phones are in their Home Area.DoCoMo will begin offering installation of its new femtocell BTS device this fall in Japan. Waking up in the morning is annoying and mosquitoes are annoying. It seems perfectly logical, then, to put both together into one simple product. 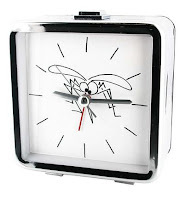 Rather than waking up to gentle music that may just make you want to go right back to sleep, the buzzing of this mosquito alarm clock will make you want to get right out of bed just to stop the annoying critter. Once you are awake enough to realize that it is just your alarm clock, again, you are awake enough to start your day. Also available in a mooing cow and always popular crowing rooster version. 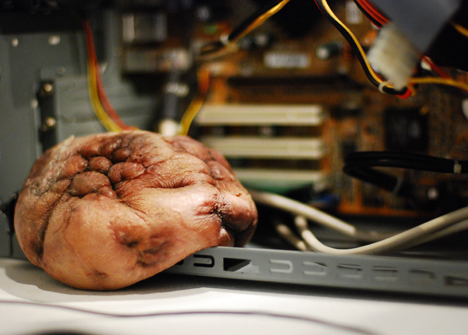 On the right hand, just a turn on the right, time show under the skin. Electronic tattoo, radio control and synchronize from an outside control. No batteries needed, it's just working with body movements. If you're going to play golf on a huge piece of property that soaks up water, fertilizer and electricity — without growing food or anything tangible — you might as well do something to make yourself feel better about it. Strange bedfellows can make for great style. They can also just make things…strange. We'll leave it to you to decide which camp this merger of flash drive and sunglasses falls into. Arriving from ck Calvin Klein this fall, the glasses feature a detachable arm that reveals a 4GB USB port, ready to store music, photos, or data. One thing's for sure: Italo Zucchelli isn't the only guy at Team Calvin with a taste for supermodern shades. If you logged onto Amazon Wednesday, you may or may not have noticed that the Kindle 2 had a price drop: it's now selling for $299 instead of $359. Alas, because Amazon ads for the Kindle 2 (and Kindle DX) are always plastered across its homepage--and are easy to ignore--I actually missed the new pricing until a reader pointed it out to me. However, I did have a feeling Amazon needed to do something to spur demand, because I just haven't been seeing too many Kindle 2s on the New York City subway (the number seemed to be holding steady and not increasing). I know that's not a very scientific way of charting sales, but we started to get the feeling around here that after the initial wave of publicity and a somewhat lackluster response to the larger and more expensive Kindle DX, interest in the Kindle was waning a bit. (Since Amazon doesn't release sales figures for the Kindle, we have no way of knowing how well it's really doing). Chopping the price to a more palatable $300 will certainly attract some fence-sitters who've been contemplating a purchase, but it's also bound to upset a few folks who bought the device fairly recently. The good news is that if you bought a Kindle 2 in the last month you should get $60 back. According to an Amazon PR rep, "If the product was shipped within 30 days of purchase, customers are eligible to receive the price difference as a credit." Anybody ready to buy at $299 or is the Kindle 2 still overpriced? It’s a saga we’re all familiar with by now: create a pretty awesome web service, start a trend, become a media sweetheart, make lots of money (VC or acquisition), get slapped with a lawsuit. Or two. Or fifty billion. Facebook added two more lawsuits to its heap recently: a countersuit from Power.com and a click fraud proceeding. Facebook filed suit against Power.com in December. Facebook claimed the one-stop social-media aggregator was infringing upon their copyright, violating their TOS and scraping proprietary data. At the time, we weren’t sure whether “proprietary data” included user information. Facebook also faces legal action from RootZoo, an erstwhile advertiser. After analytics from their Nov 2007-June 2008 campaign varied greatly from Facebook’s reported data, RootZoo requested Facebook’s logs and a refund. Facebook said no to both. RootZoo’s complaint uses 2 June 2008 as an example of the discrepancies between the two. While Facebook reported 804 clicks on their ads, RootZoo’s analytics programs show 300 clicks from the social networking giant. While there have been rumblings about Facebook click fraud for some time, this is the first suit in the matter. What do you think? Does Facebook have anything to worry about from these legal claims against it? Is there anyway to avoid getting slapped with lawsuits once people see you’re making some money? According to New York’s Attorney General Andrew Cuomo, Tagged illegally tries to lure new members by tricking visitors into providing their personal address books, which the company then uses to send out more invitations. For those who have never received an email from Tagged.com, when they appear in your inbox they appear as though a friend has sent them a link to photos posted on the site. Tagged.com’s chief executive Greg Tseng said in a statement on the company’s blog that other social networking sites use similar methods and implied that the option to send the emails was precisely that, an option, however they have discovered that the “invite your friends” language was confusing so ceased sending out the emails some time ago. Tagged.com has taken $13.5 million in three rounds from 2005 to 2008. Investors include Reid Hoffman, the Mayfield Fund, Horizon Technology Finance Management and Leader Ventures. They company claims it’s the third largest social networking site after Facebook and MySpace based on membership numbers. Flags.net is a database of the flags of all the countries across the globe. 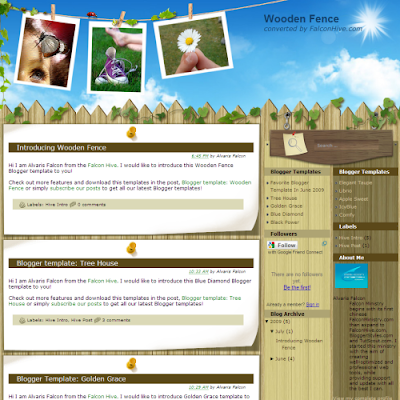 The site shows you flags that are there and used presently. You can search the countries for their flags or search a flag based upon certain design criteria or its type or its color. You will even get to know about the latest stuff related with flags. You can even use the online flag shop to buy flags and other such allied products. Passpack.com provides free simple password management for everyday life. This online password manager saves time and protects you from thefts. You can save your logins and passwords, generate passwords, add new entries or import. Finding your saved stuff is also very easy since it provides easy alphabetical order list, quick search, organizing with the help of unlimited tags and auto login to saved sites. There are even tools like bulk entry import from CSV, personal backup and restore and quick 'remember me' login. 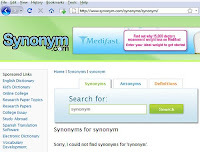 Synonym is the web's best resource for English synonyms, antonyms, and definitions. 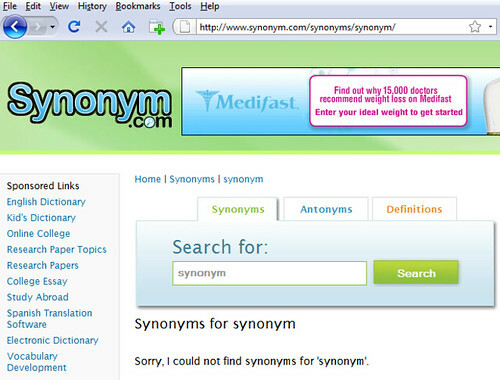 Type in a word and the synonym finder will come up with a list of synonyms. Check out the most popular online synonym searches to find the right word for any occasion.You can Use the antonym tool to find find antonyms and check out the definitions feature to read the definition. Techsupportforum.com is a full fledged forum involving solutions to all your computer related problems. This web site has helped solve more than 136,000 problems till date involving spywares, malwares, viruses, windows, linux, networking, security, hardware and gaming. All you need to do is get registered free of cost, ask your questions and get an answer. Registerd members not only get support but they can also communicate privately with other registered members. So join today to get a precise and expert solution to your computer related problems. ITQuestionBank is a huge database of FAQs(Frequently Asked Questions) in IT field. You can get any information regarding languages like C C++, Java or any other programing. Here they have hosted a forum to discuss your problem. 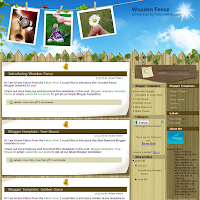 So it is the best site for your programing needs. SupaLogo is a simple and quick logo maker tool that enables you to create nice logos in just few clicks. You can easily customize logos in terms of color, outline, size, font and gradient. Buy this “Box of Applause” and put it on your desk at work. Finish those spreadsheets early? Box of Applause. Get your co-worker fired? Box of Applause. Sneak out at noon on Friday? Box of Applause. It’s like a music box, but when you open it, you get a round of applause. Open this box and be greeted with the sounds of cheering and clapping from a very enthusiastic crowd. Close your eyes and imagine yourself accepting that Oscar, Grammy, or Nobel Peace Prize. Desktop day brightener is pine with steel hinges. Takes 2 AAA batteries (included). Oscar, Grammy, or Nobel Peace Prize? Get over yourself. It’s the little victories in life that make all the difference. Two candy bars fall out of the candy machine? Box of Applause. Yours for $25 at SkyMall. 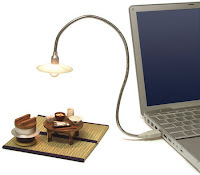 A Japanese company (JTT) has developed the world's first USB powered light lamp. In this age of LED's, CFL lamps, etc it would be rather refreshing to see the good old electric bulb resting besides your workstation. It has a shade which gives it a retro lamp shade look. 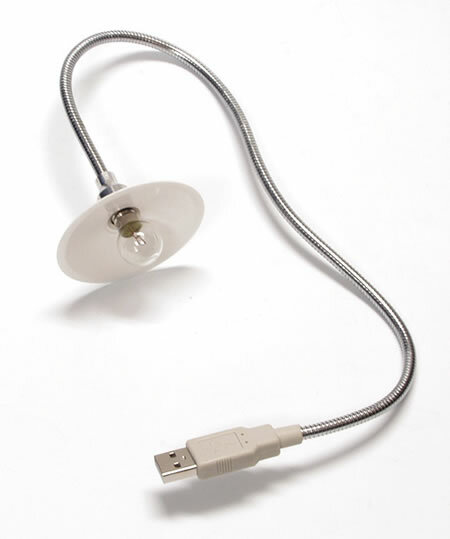 A Japan only product the USB light bulb sells for 1280 Yen ($15).